Demonstrating that after more than a decade of support for print styles, those touting responsive web design still forget the fundamentals. The printer is a device too!, January 3, 2014. My WordCamp Buffalo 2013 Presentation: Making Your Site Printable, September 14, 2013. Make your website printable with CSS, March 5, 2013. Where print fits in responsive web design, August 27, 2012. 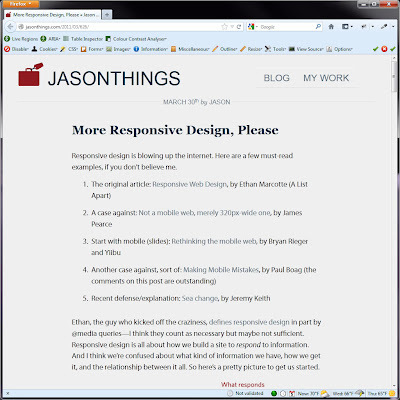 Responsive Design Weekly Newsletter #16, August 3, 2012. My Print Styles Article in .net Magazine, July 18, 2012. 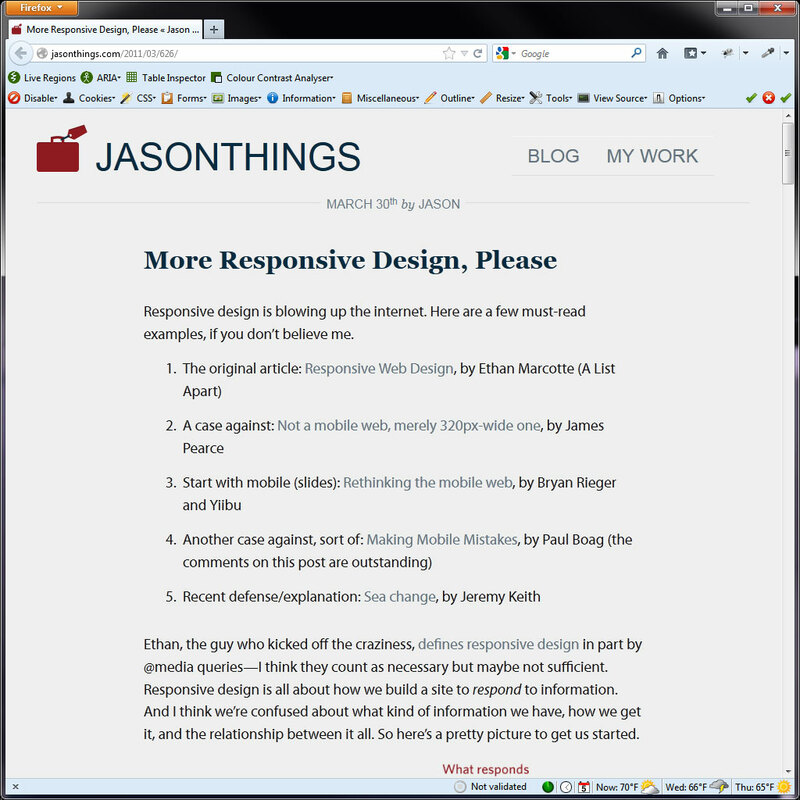 Mentioned in [webdev] Web Design Update: April 12, 2012. Print Styles Are Responsive Design, March 14, 2012. Test in Lynx and Print, It's Your Job, December 12, 2011.